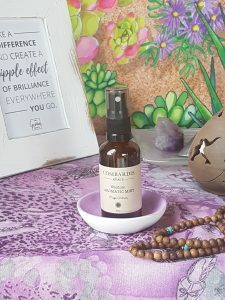 Essential Oils - Peppermint, Clary Sage, Lavender, Ylang Ylang, Bergamot Physical Properties - hormone balancing, reduces hot flushes, relieves stress, heart tonic, anti-anxiety, aids weight loss. 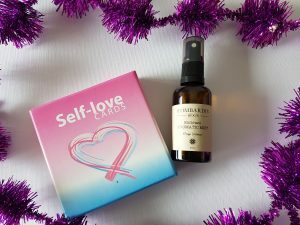 Emotional Properties - joy and buoyancy, connect the mind and heart, open the soul to new possibilities & experiences, emotional honesty, unconditional self-love & acceptance, connection with playful inner child, releasing negative emotions, self-acceptance, positive & optimistic outlook. 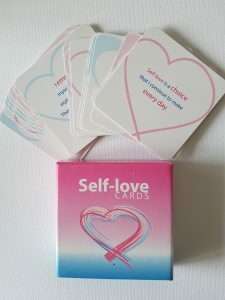 44 cards to promote self-love and acceptance. Sometimes it is easy to forget that you are unique and irreplaceable, these cards are gentle reminders. 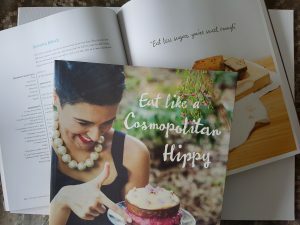 Beautiful recipe book written by the original Cosmo Hippy Dr Leandra Brady-Walker. Includes delicious gluten free, dairy free, paleo, vegan and FODMAP friendly recipes. Who knew foods like salted caramel tart, marshmallows and pizza could be good for you? 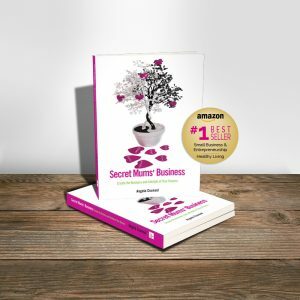 Amazon #1 Bestseller book written by Angela Counsel, Secret Mums Business busts the myth of work life balance for mothers who are running their own business. 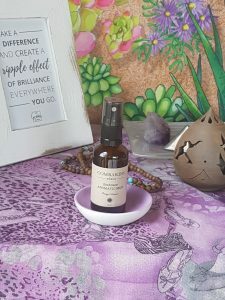 Life can be tough juggling a family and a business but Angela shares some simple steps which will help you ditch the struggle and live your best life.